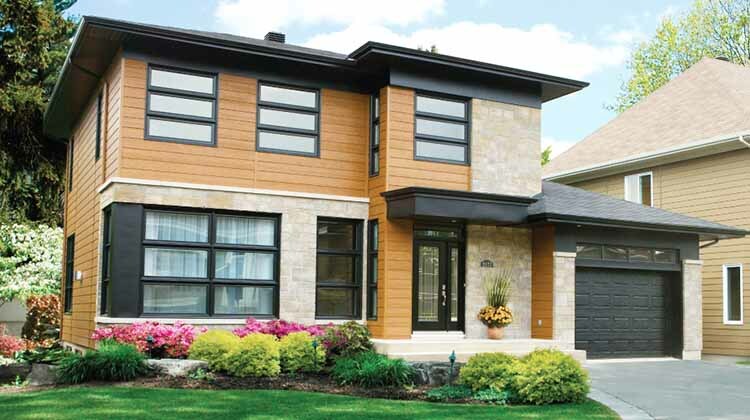 Engineered wood siding by LP Smart Siding is a composition of exterior-grade resins and wood fibers. Engineered wood siding is made from wood materials that are combined with glues to form boards and panels. The making of engineered wood siding is similar to that of Plywood or oriented strand board. It is tough, strong and can easily stand up to extreme weather conditions. 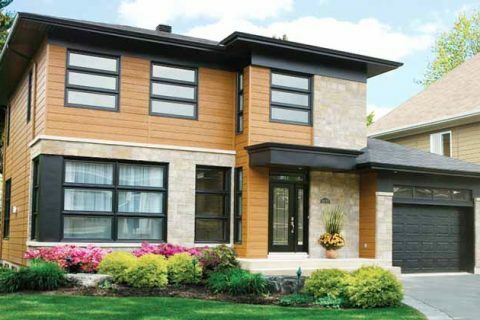 Engineered wood siding comes in a variety of styles and textures, which include beaded lap, clapboard, rough-sawn and look-alike wood shingles. It can come in ready-to-paint, primed or factory finished styles. It can last for decades while maintaining its attractive appearance. It is difficult to tell the difference between engineered and real wood (same with flooring). Engineered wood looks like real wood and has many of the same aesthetic features, and so it’s not a bad choice. As well as this, it can be stronger than real wood. o Engineered wood susceptible to moisture-related problems. o It calls for a periodic maintenance. Want to find out more about our engineered wood siding installation service? Contact us now at (918) 855-7597 or click the quote button.